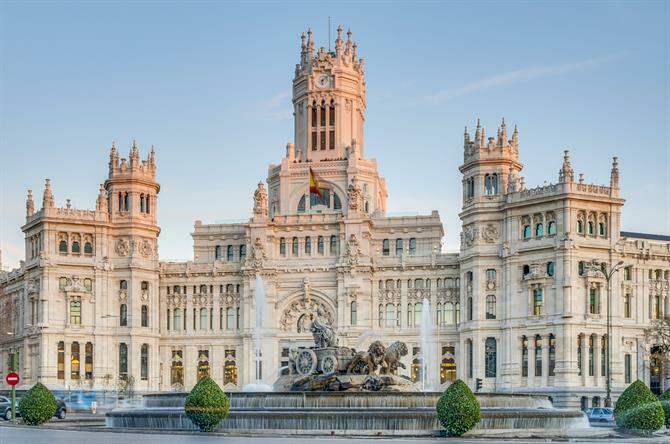 How well do you know Spain? Check out our lightning guide to Spanish places, people, and, indeed, food and drink. 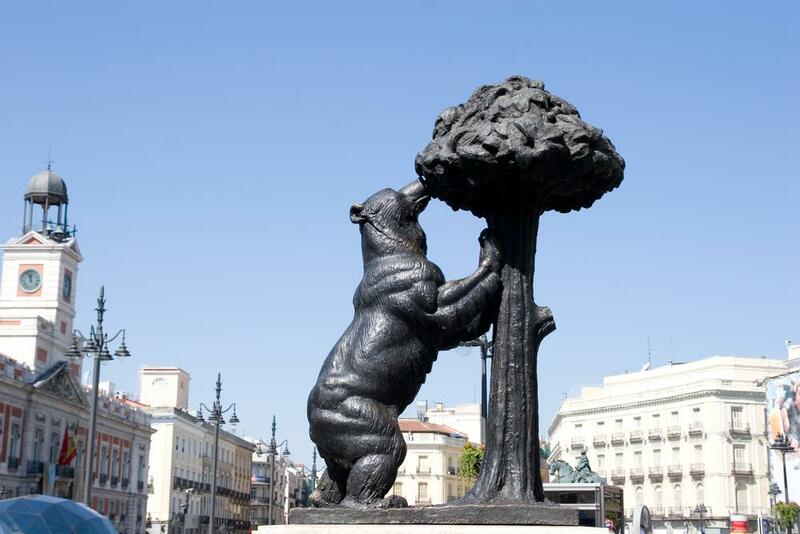 Let's begin with K and end with T.
You can't get more central Madrid than the Puerta del Sol plaza. And so the Origen de Las Carreteras Radiales plaque lies in the centre of this square. According to urban myth, the clock of the old Royal House of the Post Office which looks over the Km.0 plaque is Spain's official timekeeper. Federico del Sagrado Corazón de Jesús García Lorca, Spain's most famous poet and playwright, died a martyr in 1936. Killed by Nationalist forces loyal to future dictator Franco, his death swiftly followed that of his brother-in-law, Manuel Fernández-Montesinos, Granada's left-wing mayor. 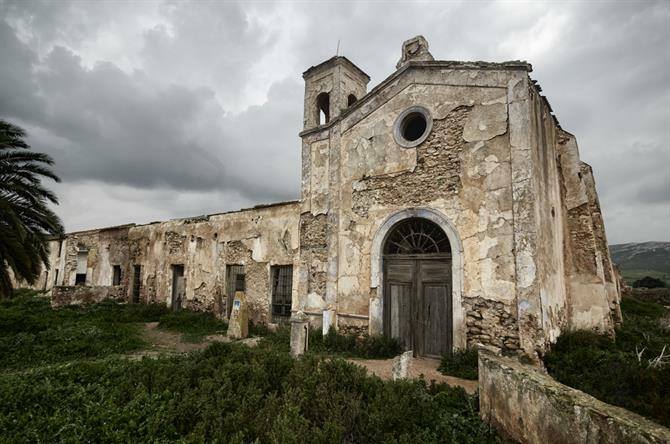 Perhaps his most famous work is Blood Wedding, based on a real-life tragedy that happened at Almeria's Cortijo del Fraile, pictured above. See that Madrid fountain? That's the Fuente de Cibeles where Real Madrid supporters celebrate when they win a trophy. Things can get chaotic, as they can anywhere in this mad metropolis where a siesta is essential if you want to make it all the way through the night like your average madrileño. 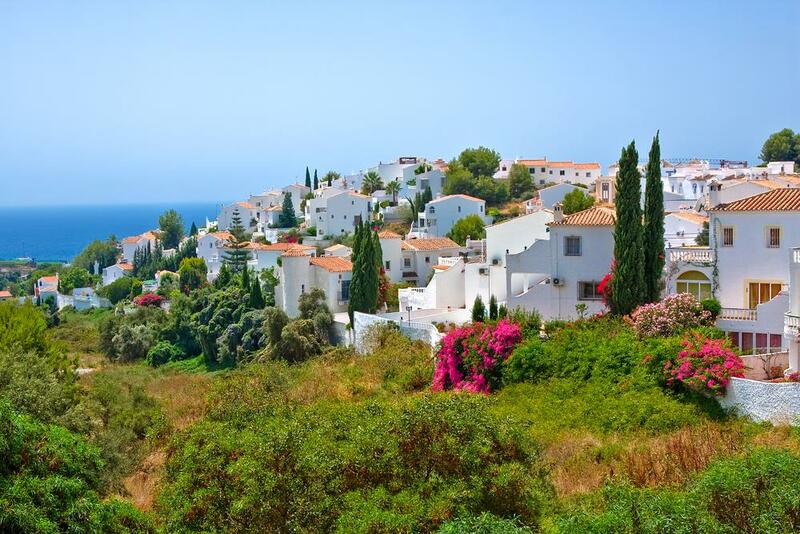 It's on the Costa del Sol, but Nerja is no Torremolinos. 50km from Málaga, this pretty town sensitively reinvented as a resort lies close to unspolit coves. So unblemished are these tucked-away stretches of shore, you'd be forgiven for thinking when visiting that you were discovering them for the first time. 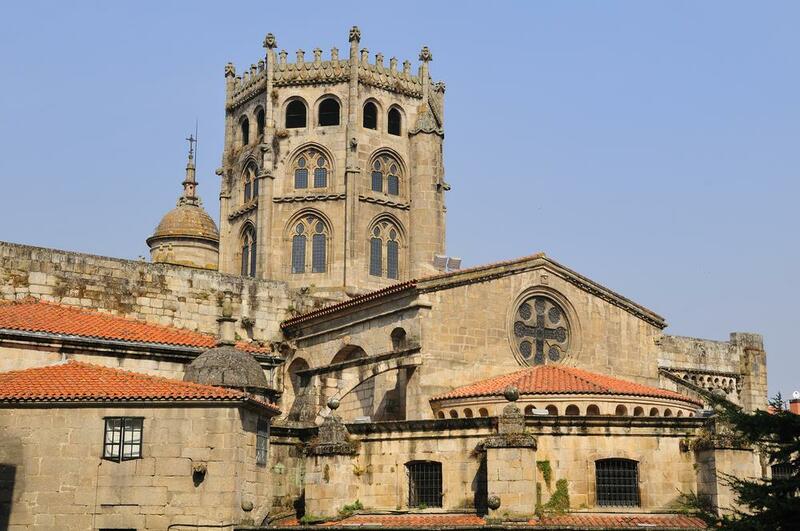 Ourense is the last city you'll hit along the Camino de Santiago before reaching Santiago de Compostela. Whilst its surrounding countryside is more reminiscent of the Scottish Highlands, its cathedral is unmistakeably Spanish. Galicia's third-largest city, Ourense has been gentrified somewhat in recent years to make it even more appealing to visiting tourists. 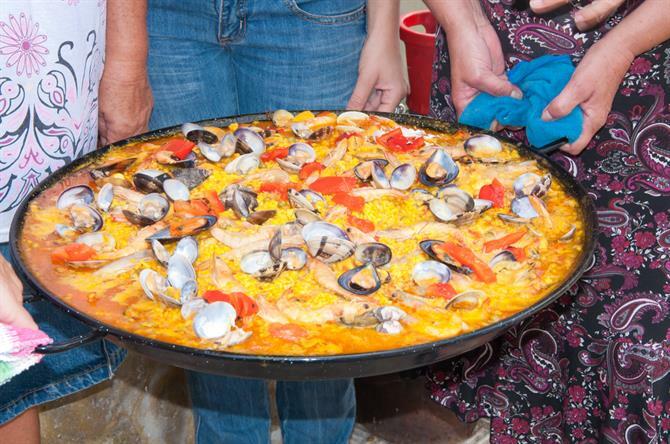 If you want an authentic paella feast, make your way to the east. Paella, one of Spain's most popular traditional foods, was born on the banks of l'Albufera lagoon, 16km south of Valencia. As well as rice paddies, snails, ducks, and rabbits abound, which explains their inclusion in the classic Valencian paella recipe. That's Quixote as in Don Quixote, the eponymous hero of Cervantes' classic literary tome. 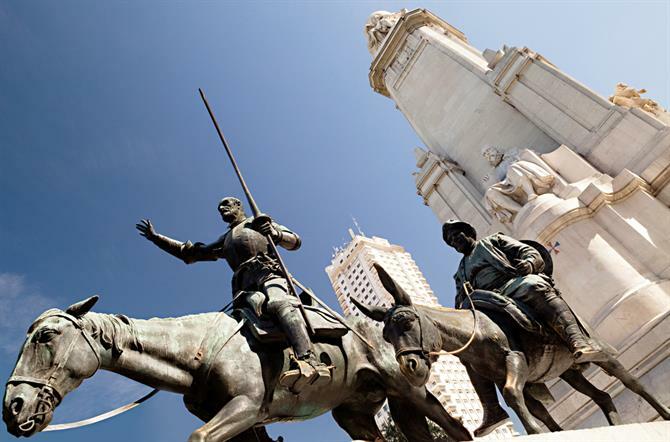 To see the statue of the Don accompanied by his donkey-riding servant Sancho Panza, you'll find it in Madrid's Plaza de España. And if you want to tilt at windmills, make the central plateau of La Mancha your destination. Easily Spain's most famous wine region, La Rioja locals treat their native product in a less reverent way than wine snobs. Instead of accompanying a three-course meal in a fancy restaurant, they like to drink it by the glass with pintxos on the streets of capital Logroño. Where it is, of course, considerably cheaper than the exported version. 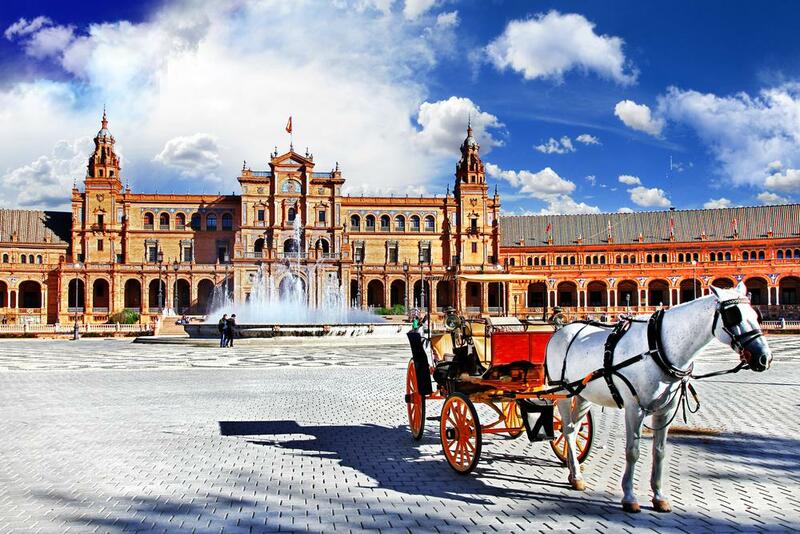 There are few cities seemingly more perfectly designed with a stroll in mind than Andalucia's capital. And if Seville gets too hot, which it can do in summer, let the horse-drawn carriages do the leg work for you. Another way to cool off is to take some shade in Seville's many beautiful parks and gardens. 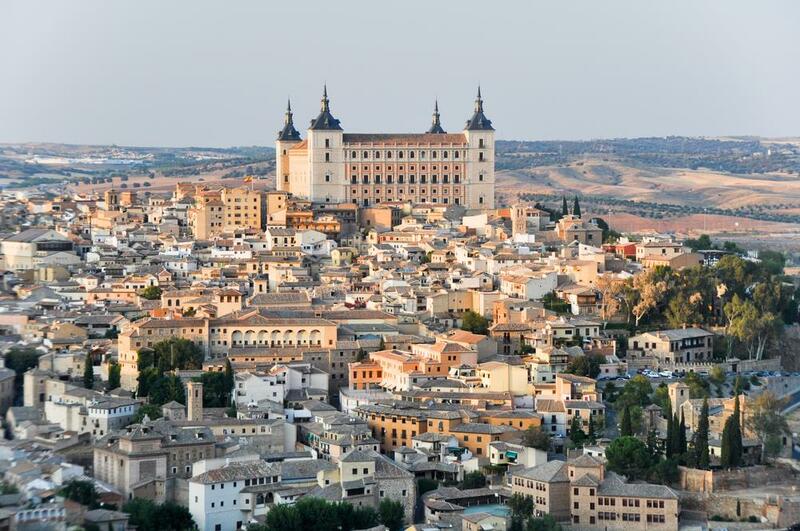 A living, at times just about breathing, museum, Toledo lies 70km away from Madrid. 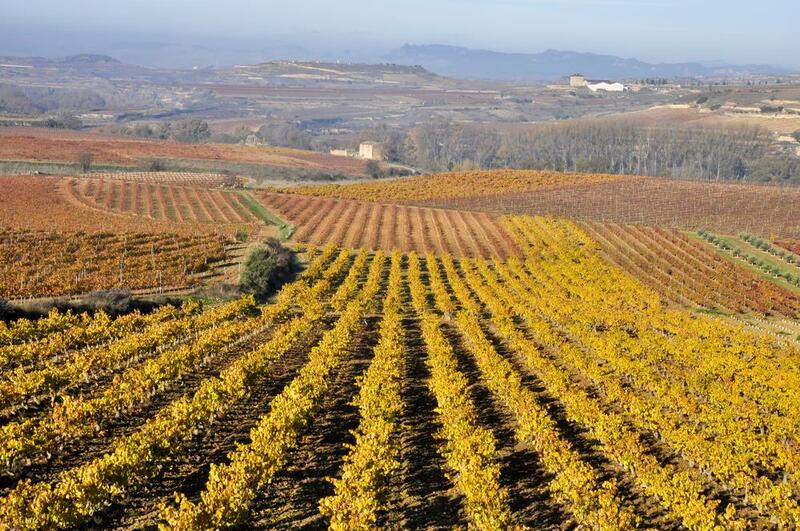 Making it an excellent day trip from the Spanish capital. Known as "the city of the three cultures" because Arabs, Christians, and Jews lived peacefully together side by side, Toledo's Jewish Quarter is well worth a visit.